Could cannabis be the best option for MS patients? Science says YES. Over the last several years, extensive research has been performed to study the effects of cannabis on the symptoms associated with MS. The results have been astounding. Cannabinoids found in the compounds including psychoactive THC and non-psychoactive CBD have proven to reconstruct the natural process our body performs through naturally occurring endocannabinoids. In autoimmune patients such as those with MS, the body does not adequately produce these endocannabinoids due to the immune system attacking the DNA of the individual. This attack causes a breakdown in normal body processes, resulting in a nervous system that cannot function properly. The compounds found in cannabis connect to the cannabinoid receptors and pain receptors in the body and act as a stand-in to promote this healing process. The results are remarkable and lead to a much better quality of life for those suffering from this disease. THC and CBD are proven to dramatically reduce uncontrollable muscle spasms including the spasms that cause the frequent urge to urinate. Israel’s Tel Aviv University conducted a research study in which they infected mice with the condition that mimics MS. When they injected the mice with CBD, the mice were able to walk again. Before the CBD, the legs of the infected mice were crippled by stiffness and tightness. The mice treated with CBD also showed a significant decrease in nerve damage and overall inflammation. Another study performed at The University of Plymouth in 2012 found cannabis to be twice as effective at providing relief of muscle pain and spasms than a placebo. After 12 weeks of using cannabis, patients reported a much higher reduction in spasticity than those who received a placebo. Cannabis helps ease a lot of the nerve pain associated with MS.
Cannabis is a powerful analgesic that engages pain receptors in the body, significantly reducing chronic pain. This chronic pain is caused by inflammation of nerve tissue, which leads to pain signals being sent throughout the body. Just as having something pressing on a nerve in one’s back can cause pain to travel down their leg, often, a patient will feel a large amount of pain in an unaffected area of the body due to damaged nerves signals traveling to the area. By reducing the inflammation on the nerves, patients find much-needed relief from this pain. The common thread to the majority of symptoms of MS is the effect chronic inflammation has on the body. This inflammation is the number one culprit of much of what ails MS patients. Cannabinoids found in cannabis are very potent anti-inflammatories. THC and CBD compounds derived from cannabis deactivate this immune response that leads to chronic inflammation and stops the attack on the central nervous system. The compounds are also powerful antioxidants which contain neuroprotective properties. This capability protects the cells, tissues, and DNA from damage. When unprotected, the tissues become inflamed and irritated which leads to deterioration. This decline sends pain signals through the nerves throughout the body leading to intense pain. 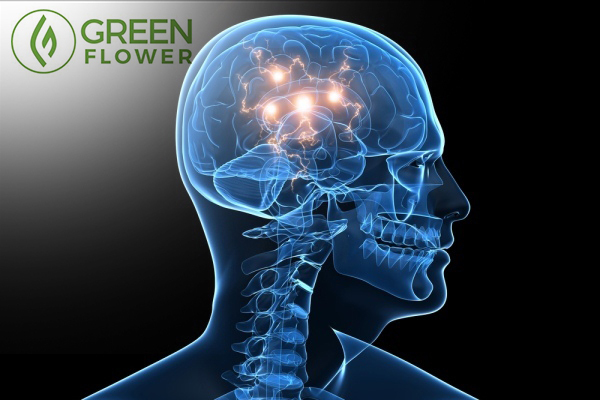 The cannabinoids found in these compounds helps prevent this and promote neurogenesis, or the creation of new brain cells. MS patients commonly have severe gastrointestinal issues like constipation, uncontrolled bowels, and difficulty with digestion. 70% of immune cells are found in the gut, and cannabinoids engage these immune cells and quiet the inflammation in the bowels. Certain cannabis varieties act as an appetite stimulant, helping those who have difficulty maintaining a healthy weight due to digestion issues. Cannabinoids trigger the release of natural hunger hormones which in turn triggers a healthy metabolism. 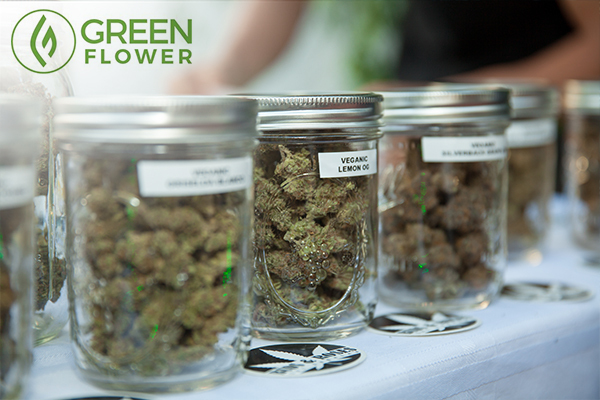 Cannabis writer Anna Wilcox compares this process to a traffic police officer. They direct the flow of hormones and chemicals that communicate with the body’s systems like a traffic cop to keep chemicals and hormones flowing properly. Most MS patients have difficulties sleeping. Uncontrollable pain and spasticity in the muscles make it tough for individuals to fall asleep and stay asleep through the night. Indica cannabis strains (or more specifically strains high in the terpene myrcene and the cannabinoid CBN) put the body to rest allowing patients to fall asleep faster, sleep through the night, and to achieve extended periods of deep sleep. This is especially important as the body repairs itself, rebuilds bones, and repairs the immune system during this phase of sleep. A GW Pharma study in 2000 showed patients who used cannabis experienced less pain and reported better sleeping patterns than those who did not use cannabis. You have cannabinoid receptors throughout your entire body, skin, connective tissues, organs, brain, and the eyes. Many MS patients experience blurred vision or the complete loss of vision. This issue is a result of inflammation of the optic nerve. The anti-inflammatory properties of cannabis reduce this inflammation, leading to clearer vision. This property is the same principle used in treating patients with glaucoma and retinal degeneration with cannabis. One of the most troublesome symptoms for MS patients is chronic depression. The ongoing pain and debilitating effects MS has on the body leads to a low quality of life for many people, leading them into a deep depression. 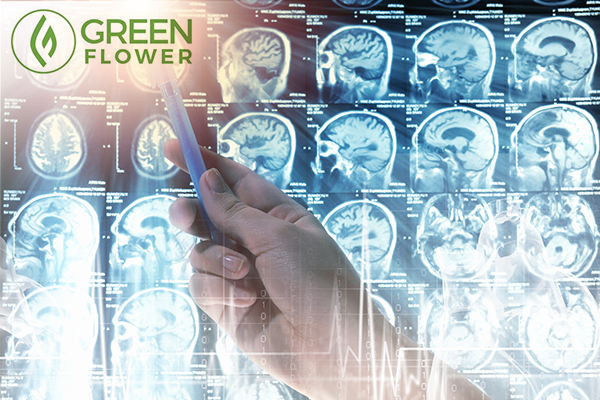 This is also caused by the inability of the body to produce naturally occurring endocannabinoids in the brain. Introducing the cannabinoids THC and CBD to the system compensates for this, lifting spirits and reducing the painful effects of MS that lead to depression. 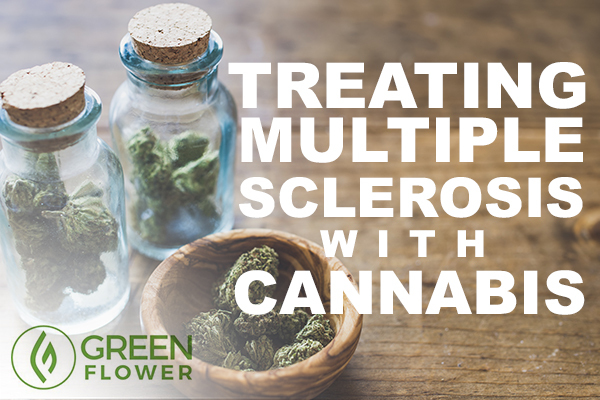 Researchers have learned a lot about MS through their research involving cannabis. It has helped them to understand how our body communicates and the role endocannabinoids play in keeping our body’s systems communicating properly with one another. When there is a breakdown in communication in one area, it has a domino effect on the rest of the systems of the body. By inserting these missing pieces to the puzzle, we slow down the autoimmune reaction, stop inflammation, improve muscular control, and reduce or eliminate the side effects of MS.
Rachel Stires is a media relations specialist for the Medical Marijuana Treatment Clinics of Florida. In her spare time, she takes a special interest in health and fitness, including alternative treatments to common ailments.